Past Projects | Help UCLA Club Swimming Get to Nationals! Our crowdfunding campaign has ended, but you can still support UCLA Club Swimming by clicking here. Help UCLA Club Swimming Get to Nationals! ***Update 2/20/18: Yesterday, 2/19/18, we reached our goal of $3000! Thank you to everyone who contributed to the campaign. With 12 days left in our campaign, we decided to increase our goal to $3500. The extra money will go towards hiring a professional to work the timing equipment for our home meets. This will make our home meets run smoother and more efficiently. Previously, our officers would do this, and when it did not work, they would scramble to fix the problem. This would lead to delays in the meet and negatively affect every swimmer's experience there as well. The professionals we hire would know exactly how our equipment works and how to fix problems as they arise, allowing the meets to run uninterrupted. Thank you again for helping us reach our initial goal, and we know that we can reach our new goal as well! Formed in 2007, UCLA Club Swimming has given students the opportunity to swim competitively in college without the rigors of being a Division-1 athlete. We welcome students of all ability and have about 70 swimmers registered with the club each year. The club, originally called UCLA Swim Club, used to focus on being a club sport that allowed students to find a community based on their love for swimming. Swim meets and competition were the secondary focus. Over the past 3 years, the has begun to focus more on the competition side of the sport, eventually rebranding itself as UCLA Club Swimming. This gives others a sense of our competitive side. As part of our competitive shift, our swimmers compete in the Collegiate Club Swimming & Diving National Championships in Atlanta, Georgia. It is our most important meet each year. 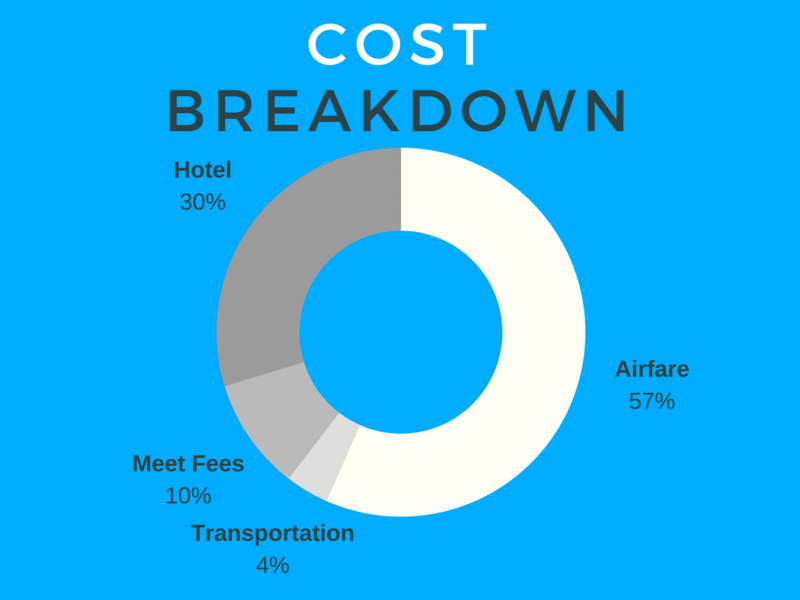 However, the travel and lodging costs are a huge financial burden on many of our swimmers. The cost per swimmer last year was $676. Many of our swimmers that qualified and wanted to go were unable to since they and their families were already paying for tuition, housing, and books. Why would they spend that much money when they could put it towards those more important items? This year, the estimated cost per swimmer is lower at $507, which is still too expensive for many of our swimmers. We need YOU, the donor, to help us reach our goal of $3000. We would put $2000 of the donations towards the cost of Nationals for each swimmer. 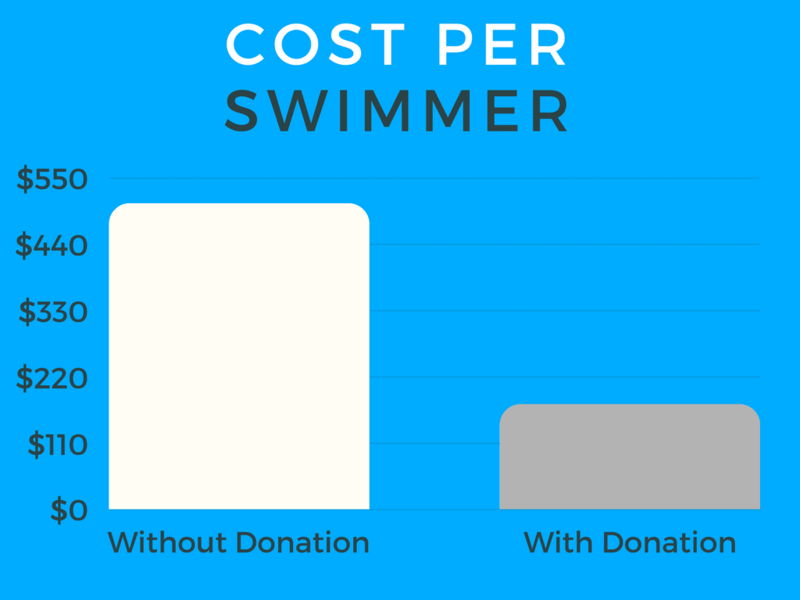 You could help reduce the cost per swimmer by more than $200. Only with your help can we succeed! Additionally, the remaining $1000 would go towards a new Daktronics Omnisport 2000 timing console for our swim meets. The cost of the console is $2100. Recently, our timing console has been unreliable, causing us to scramble to borrow the console used by UCLA Athletics. This holds up our meets and slows down reporting results. As president of CISCA, the league for west coast collegiate club swim teams, our club is the model for new clubs to follow when starting out. We cannot be the role model if we consistently have trouble running swim meets. 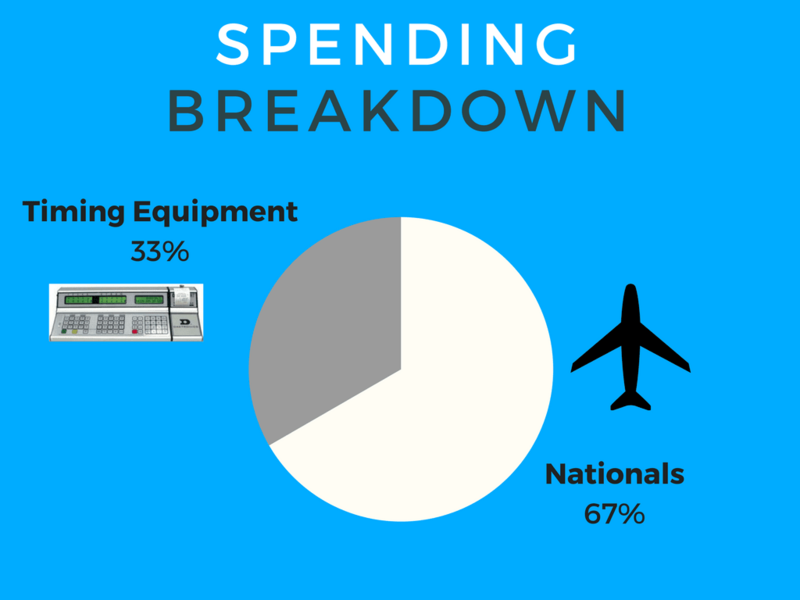 Being primarily student funded, we cannot go out and buy new equipment when we have to also pay for coaching and transportation to local meets. Get a video of the team doing an 8 clap to thank you for your donation. Get a shout out on our Facebook and Instagram pages. Get an 8 clap video where the team personally thanks you for your contribution.